Katana swords have a very sleek and attractive look with their curved shape, and have a length of more than sixty centimeters. Katana swords are often recognized for their strength and sharpness which lasts for a very long time. There is in fact a secret in making samurai swords, one that probably took hundreds of years to perfect. Metal through which the sword is manufactured has to be folded a few dozen times at least during the initial process. This is then turned in to the final blade. Once the final sword is made, it is of such great strength that it can easily cut a man into two pieces with a single blow only. This katana sword has two types of steel in it: the core of the sword contains steel which is normally flexible, while the outer coating has a great strength and is nearly unbreakable. This allows for both great durability and extremely sharp blade, two features you’ll rarely see in other swords. As mentioned, during the forging process the metal is folded as many as hundred times which is responsible for the strength it acquires. This forging process only starts with a single layer of steel, which is heated and increased in length and folded into half. The same process is repeated continuously until it reaches up to a certain length. Four steel bars are used for making a single piece of katana blade. Some believe that the idea for this ‘folding’ to create the ‘rings/layers’ inside the samurai sword came about by looking at the cross section of the inside of a tree trunk and observing the way these almost layer like rings of wood gave the tree the strength to stand up to natural forces without breaking very easily, but merely bending with the wind. This is thought by some to be the idea which gave birth to the folded steel concept of Japanese samurai swords. Next the surface steel is folded and the core is then inserted in between. The inner material is a soft type of metal which has been laminated in order to resist breaking. The exterior has a compact material formed by mixing different materials to make it attain a compact structure. Heat is then applied and lets the surface coating completely cover the core. Once the two type of steel has been fused, the job for the sword manufacturer is to apply heat to it continuously until it gets the desired shape of a sword. For this to be done a proper temperature must be maintained. Entire process of making a katana sword is delicate as the object itself is of high value and respect. 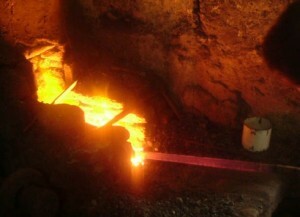 Once these things have been completed, the sword is cooled and then sharpened to the extreme level. The sword is then decorated and handles are added to it. 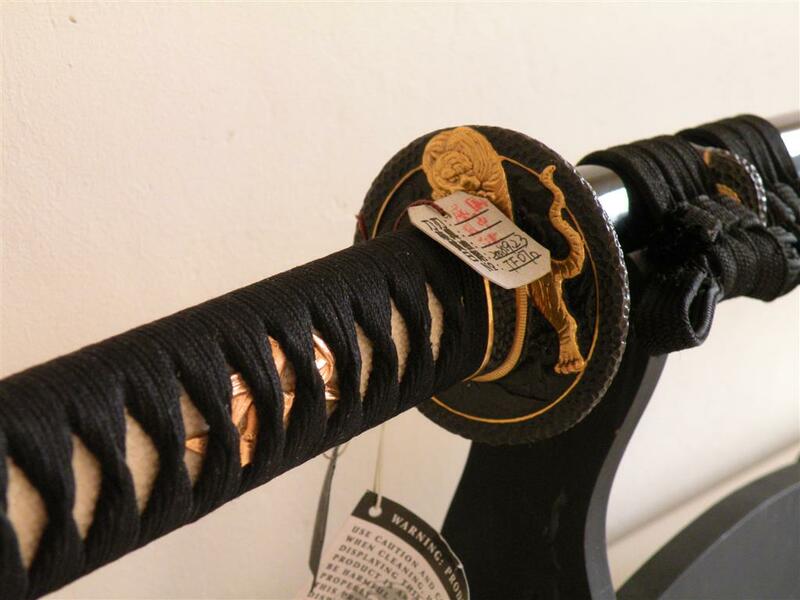 There are also ornaments and fittings which are added to the Katana sword which further increases its value. The end result is a unique katana worthy of respect and admiration. This is just a short and fairly unimpressive description of how a katana is forged. For a more detailed overview I suggest you watch the videos below. The following videos are unfortunately of low quality, but well worth watching! 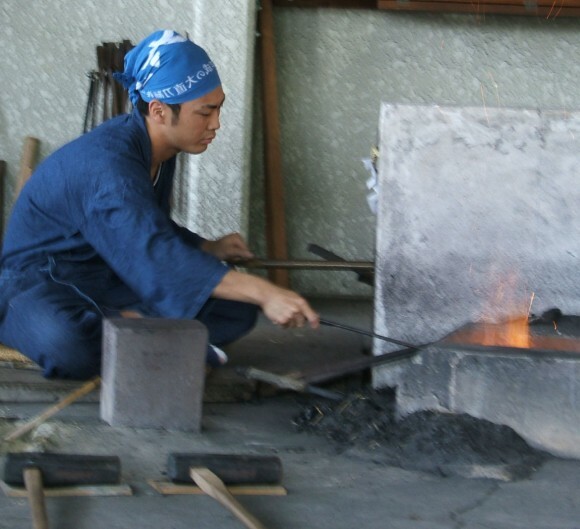 It consists of five parts (around 45 minutes in total length), and I’m sure you’ll be fascinated with the amount of work required for the forging process and creation of a single sword. Do note that proper maintenance is an extremely important issue if you own a high-quality sword. The sword needs to be stored under certain conditions, oiled, and polished regularly among other things, otherwise it may begin to rust. I do hope this post helped you gain insight into just some of the complex methods and techniques used by master sword smiths over developed and refined over the centuries. Crafting a high-quality samurai sword is a difficult process, which is why high-end handmade swords often costs a few thousand dollars.